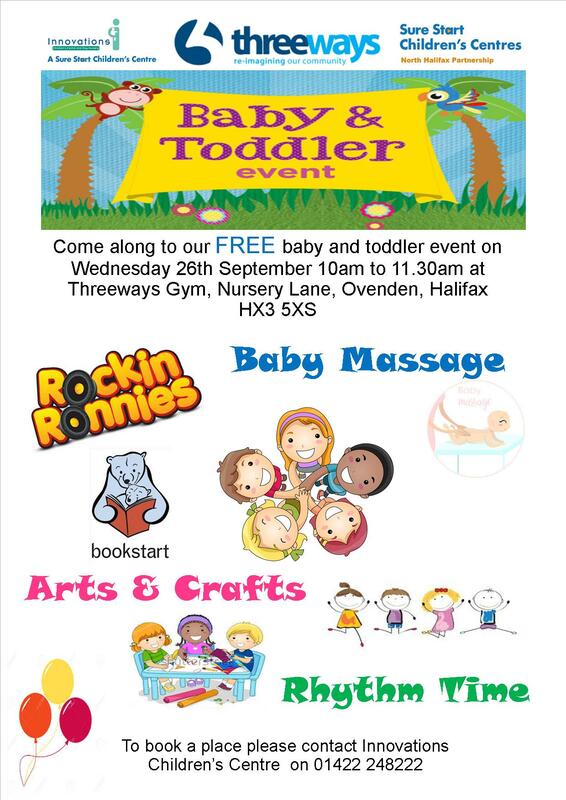 Innovations Children’s Centre is holding a FREE baby and toddler event on Wednesday 26 September, 10:00am-11:30am at Threeways Gym on Nursery Lane, Ovenden HX3 5XS. As well as Bookstart and Baby Massage there will be the usual Arts and Crafts and Rhythm Time. To find out more and book a place, call Innovations on 01422 248222.